In Nuremberg, 1757 through 1772, Georg Wolfgang Knorr (1705-1761), an engraver of great skill who, through self-study, learned a great deal about art and the natural sciences, published Vergnügen der Augen und des Gemüths, in Vorstellung einer allgemeinen Sammlung von Muscheln und andern Geschöpfen welche im Meer gefunden werden (Pleasure of the Eyes and Mind in a General Collection of Shells and Other Creatures Which Are Found in the Sea). In six parts containing 190 hand-colored copperplate engravings of great beauty the book was an artistic triumph if not one of science; Knorr's casual approach ignored scientific order. 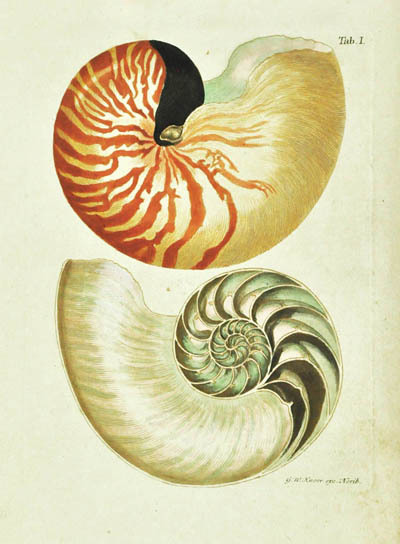 The book was a simple - albeit magnificent - record of sea shells found in collections in Holland and Germany, including that of Martin Houttuyn, a doctor in Amsterdam whose collection contained many rare species. It was soon issued in a French translation, Delices des yeux et de l'esprit... (1760-1773) and, later, an edition in Dutch by the heirs of Houttuyn as Verlustiging der oogen en van den geest... (1770-1775), a copy of which has recently come into the marketplace offered by Shapero Rare Books of London. 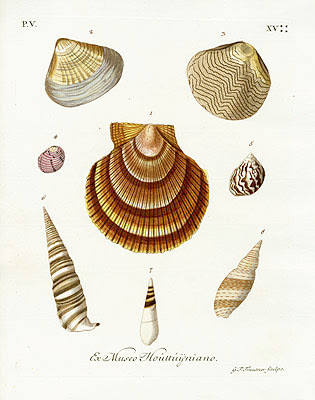 Nuremberg was, at the time, the European center for finely illustrated natural history books, led by J. Trew, a wealthy Nuremberg physician who organized and encouraged a salon of artists and scientists, including Knorr who earned his first major success with his illustrations to Johannes Jacob Scheuzer's Physica Sacra (1731-1735) in which he depicted the solar system with the zodiac as the sphere of stars. 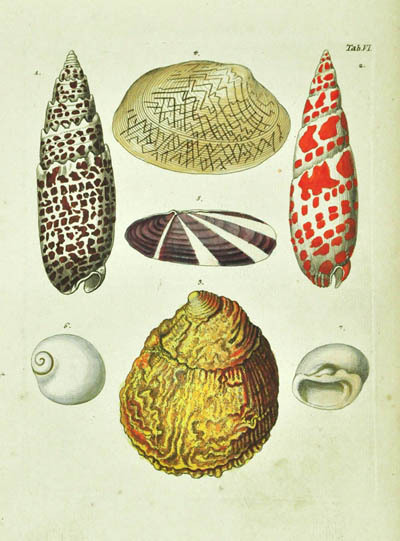 Many of the shells that Knorr depicted in Vergnügen der Augen und des Gemüths... came from Trew's personal collection in addition to Martin Houttuyn's. 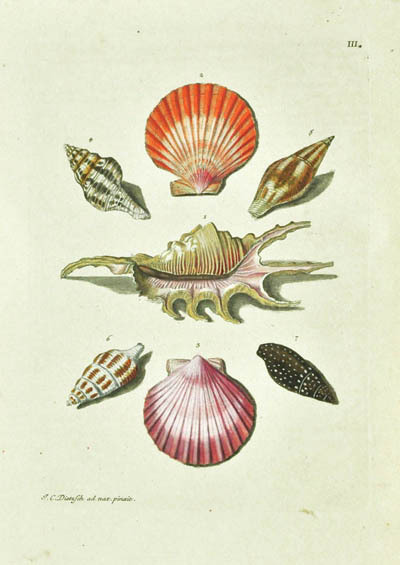 Whether in German, French, or Dutch, Knorr's book of shells became an enormous popular success. 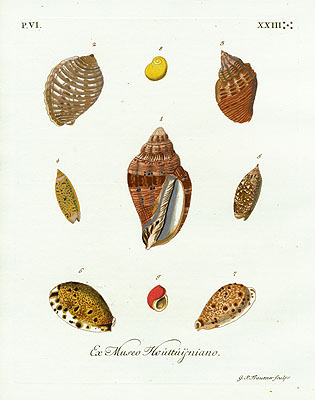 It will come as no surprise that copies were broken up and the stunning hand-colored plates - which often exceeded the beauty of the shells in nature - sold separately. There is no shortage of modern reproductions currently offered for sale. 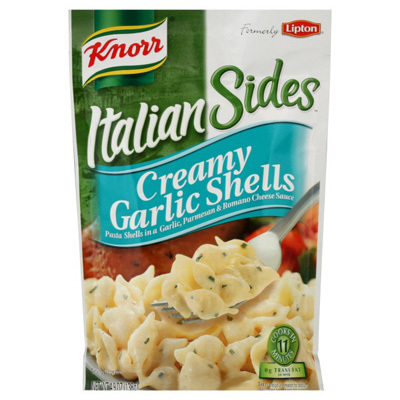 KNORR, Georg Wofgang. Verlustiging der oogen en van den geest: of verzameling van allerley bekende hoorens en schulpen, die in haar eigen kleuren afgebeeld zyn. Amsterdam: By de Erven van F. Houttuyn, 1770-1775. 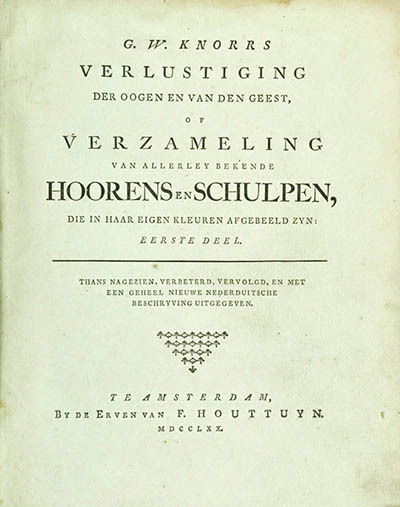 First edition in Dutch. Six parts in two quarto volumes (26.1 x 20.5 cm). Six letterpress titles and 190 hand-colored copperplate engravings by J.A. Joniger, J.A. Eisenmann, A. Hoffer and others after Knorr, C. Dietsch, J. Wartenaar, and others. Landwehr 96. Nissen ZBI 2236. Cf. 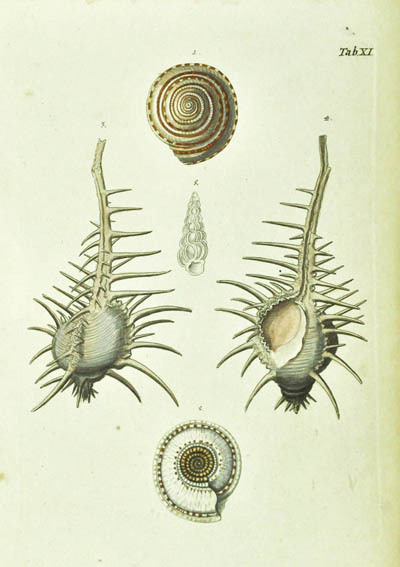 Dance, Shell Collecting, pp. 156-157. Images courtesy of Shapero Rare Books, with our thanks.